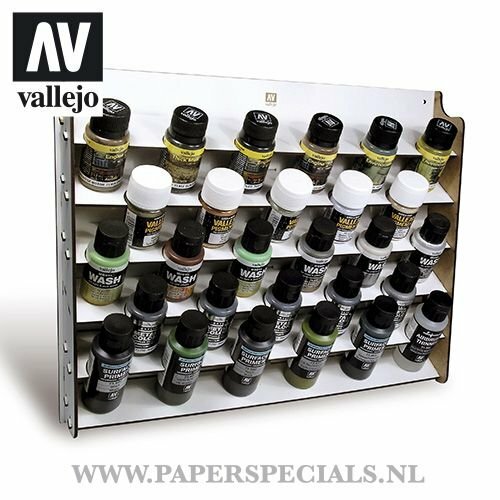 Vallejo - Wall mounted paint display - 35/60ml - 26.009 - Hobby Tools - The perfect solution for storing Vallejo Acrylics. 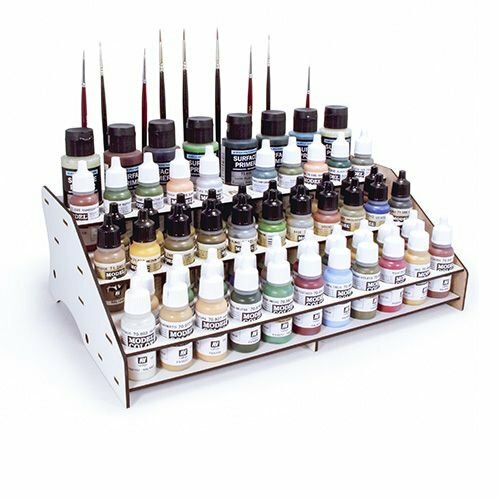 This model has space for 28 bottles of 35 or 60 ml. Easy assembly, does not require glue. Wide: 39 cm. Deep: 5,2 cm. High: 31 cm.